There’s no question that the opportunities in insurtech are growing, and incumbents in the insurance industry are taking note. 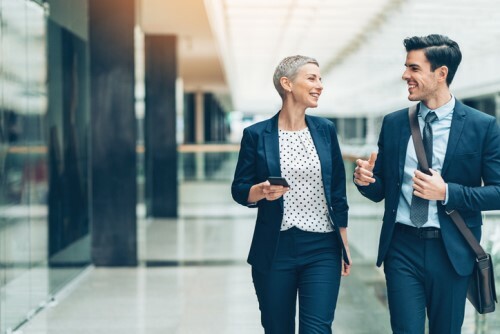 Brokers and carriers are benefiting from solutions that simplify everyday workflows as technology companies continuously work on their offerings to solve pain points for insurance professionals. Ayan Sarkar, Guidewire’s vice president and principal business owner of InsurancePlatform, has seen the strides that the solution has made over the years as it evolved from a back office-focused product into the full-service suite that it is today. While there wasn’t a grand strategy in place to evolve the product into a platform, it became clear over time that as it garnered a critical mass of insurers, those users have pushed to have added benefits and access to all the necessary pieces they need in one place. Helping insurers wade through the crowd of insurtechs via the Guidewire Marketplace is now on the top of the to-do list as InsurancePlatform continues its evolution. Also part of Insurance Platform, insurers are supplying brokers and agents with ProducerEngage to make their everyday work processes more efficient. “[It] essentially lets the agent manage a lot of the day to day business of their book, so understanding where the book is, which are the policies that are up for renewal, which are the policies that are about to be canceled,” explained Sarkar, adding that the application is useful when a prospect is about to buy a product through an insurer who uses Guidewire. Around 50 Guidewire insurers have opted for the producer-focused product in the past two years, which is a fast adoption rate for the company, said Sarkar. The consumer’s path to buying insurance is likewise changing with the rise of insurtechs, as more applications that compare insurance product prices as well as other direct-to-consumer options keep springing up. According to one expert, the insurance industry needs to find a balance of how to service the variety of customers that exist today. “The insurance industry has always been very old, stodgy, conservative, slow-moving, ‘I need to go visit my agent between the hours of nine to five, but not at lunch’, and consumers today are requiring information that’s beyond that time,” said Brady Polansky, vice president of agency relationships at insurance technology company EZLynx. Thanks to advancements in technology that are changing the way people can buy insurance, there are customers that want to go to an agent for all of their insurance needs, others that want to go to an agent for some questions, but also want to, for example, print their own forms, and still others that want to do everything themselves. Nonetheless, people who have legitimate assets to protect will likely not want to buy insurance completely on their own, said Polansky. “The more that you have, the more that you amass, you want humans helping you understand, is that really the right decision for me or not?” he explained, adding that in a recent study of buying behaviors which analyzed about 400,000 policy transactions, the findings revealed that about half of consumers picked the cheapest option for auto, and even less picked that option for property insurance. Polansky wants to see insurtechs address how consumers can get the most competitive prices – not just the cheapest prices through a comparative rating model that doesn’t ask a lot of questions and gives them only an ‘OK’ quote. “What we need to see the industry start to think about is not only that value proposition play, but how do we get smart about using the data that we have to limit the number of participants to those that are most likely the right choices,” said Polansky. As the insurance-purchasing behaviors of customers evolve, it’s getting harder for insurance professionals to keep their heads in the sand whenever insurtech comes into the conversation. However, with innovators in the space continuously proposing tech-based solutions, there has been a change in the approach of many insurance industry participants when looking at insurtechs.